Bob and his staff of Professionals are tops in the industry. You should seek him out before even starting to think about what to do with your wooded land. There are times to thin and times to let grow and they will tell you what is best for your land o accomplish your goals. La Crosse County Market Report - Land 20 Acres and up. 14 properties currently available ranging in price from $114,500 to 3.1 million. 5 Ag Acres, great for feeding the deer. *These are only rough evaluations of these properties and professional evaluations of the timber and wildlife should be conducted before purchase. *Give me a call if you would like to know why I like these. 137 Thousand Acres of Forested splendor can be found in La Crosse County stretching from the Mississippi on the west side and up onto the bluffs and Coulees as you move eastward through this popular county. The Coulees in this area of the state are an area where the glaciers bypassed and we find extensive Oak forests on the hills with farmland in the valleys. This all adds up to some prime habitat for Oak loving wildlife like Whitetail Deer and Turkeys. Our clients at Woodland Management Service own land here for the bountiful wildlife and for the quality Oak timber. Most of this 137 thousand acres of forest land is Oak with over 100 thousand acres of Oak forests which provide premium deer and turkey habitat along with timber income. These forests are not only good for producing income for our clients and great habitat for Deer and Turkeys, but it also provide good habitat for many other wildlife like Bears, Grouse, and more. If you are interested in purchasing land in La Crosse County or if you already own some and would like to learn more about how to improve this land, give me a call, our Foresters and Wildlife Specialists can help. A few other articles to check out. What is a Forester & Why do I Need a Forester? 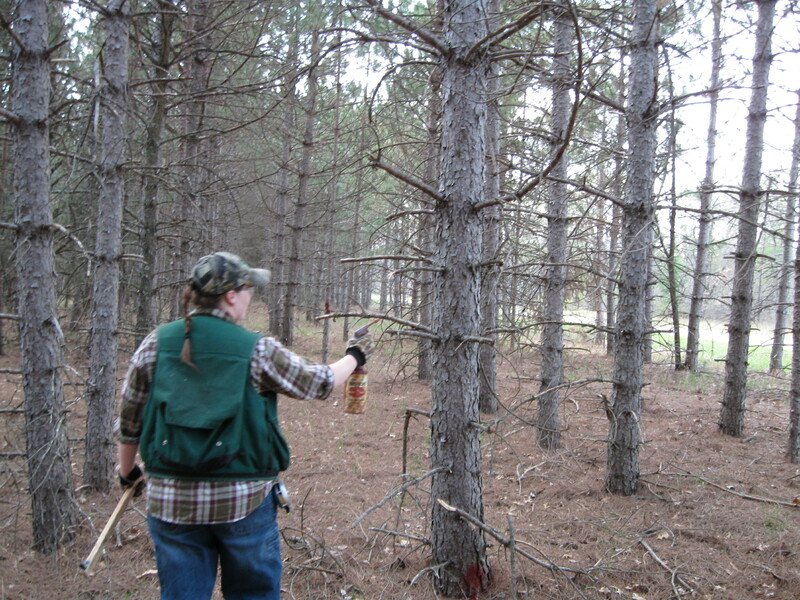 FAQ What is the Difference Between a Forester and a Logger?? Top 10 List for Selling Your Forestland at a Premium Price. Forestland Evaluations, dont Buy or Sell Forestland without one. FAQ - How important is Access When Selling Hunting and Recreational Land? FAQ Is leaving my woodland alone best for Wildlife & Forest Health? FAQ How do I create a Wildlife Paradise on my Property? FAQ How do I Encourage More Wildlife on My Land? FAQ What is Hygrading and why is it so Bad?? FAQ I Have Recently Purchased/Inherited Some Forest Land. What's Next? Need a Break on your Forestland Taxes? I hope that you enjoyed this post, don't forget to hit the follow button above so that you wont miss any future posts. Thanks for the kind words Bill, I know that you are a top expert in this kind of land too. Bob does know his wooded land and nice of you to re-blog his post. Bill, Years ago we had no one to educate us...it is great that the young people have someone to lead them in the right direction.